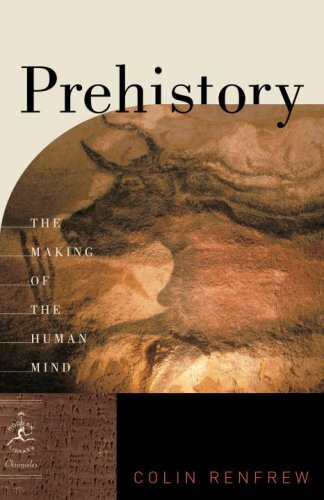 Modern Library Prehistory: The Making of the Human Mind (Modern Library Chronicles) by Colin Renfrew | Free eBooks Download - EBOOKEE! In Prehistory, the award-winning archaeologist and renowned scholar Colin Renfrew covers human existence before the advent of written recordsâ€“the overwhelming majority of our time here on earthâ€“and gives an incisive, concise, and lively survey of the past, and of how scholars and scientists labor to bring it to light. Renfrew begins by looking at prehistory as a discipline, detailing how breakthroughs such as radiocarbon dating and DNA analysis have helped us to define humankindâ€™s pastâ€“how things have changedâ€“much more clearly than was possible just a half century ago. As for why things have changed, Renfrew pinpoints some of the issues and challenges, past and present, that confront the study of prehistory and its investigators. Renfrew then offers a summary of human prehistory from early hominids to the rise of literate civilization that is refreshingly free of conventional wisdom and grand â€œunifiedâ€ theories. In this invaluable account, Colin Renfrew delivers a meticulously researched and passionately argued chronicle about our life on earthâ€“and our ongoing quest to understand it. No comments for "Prehistory: The Making of the Human Mind (Modern Library Chronicles)".